The law office of Greg Thomas is a client-centered, Dallas Texas based; results oriented firm that is dedicated to providing its clients with professional and thoughtful representation. Greg Thomas is known for his ability to listen and be responsive to his client’s needs and be available to them when they need him. He provides competent and professional legal representation to all clients, regardless of the size of the case. His philosophy is to give personal attention to every client. All clients are updated regularly on the status of their case and all phone calls are returned. He believes that excellence in representation and communication will lead to the best possible results. 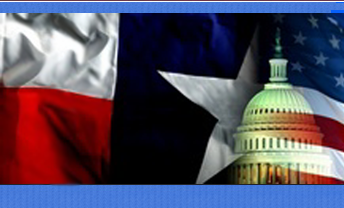 Thomas has been practicing law in Dallas for more than 25 years. After four years with the Dallas County District Attorney’s office under Henry Wade, Greg Thomas joined his father, Marvin Thomas and his firm of Thomas Neilon and Griffin. Marvin Thomas started practicing law in Dallas in 196XX. The Thomas family has a long tradition of successful law practice in the areas of Estate Planning and Probate Law, Personal Injury, Wrongful Death, Criminal Defense and Nursing Home Negligence. Greg Thomas’ successful practice focuses giving the best representation possible. Free consultation: To speak to a personal injury lawyer, call 214-748-0226 or contact us. We offer home and hospital visits.